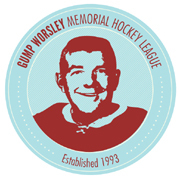 The Gump Worsley Memorial Hockey League is a 20-team APBA Hockey league with members throughout North America. Looking for a great APBA Hockey league to join? For two decades, the GWMHL has brought passionate and like-minded hockey sim fans together for rewarding community and competitive league play using the APBA Computer Hockey game. Contact current GWMHL Commissioner Andrew Martin to find out how to join.